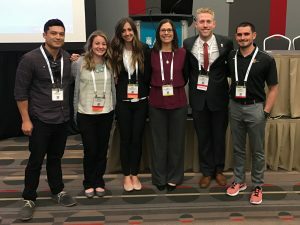 Congratulations to our recent graduates from the DPT Class of 2017: Katie Mitchell, Madeline Porter, Lauren Anderson, Carter Phillips, Grayson Arceo, and Brian Montz on publishing the findings of their doctoral project entitled “Differences in lumbar spine and lower extremity kinematics in people with and without low back pain during a step-up task: a cross-sectional study” in BMC Musculoskeletal Disorders. 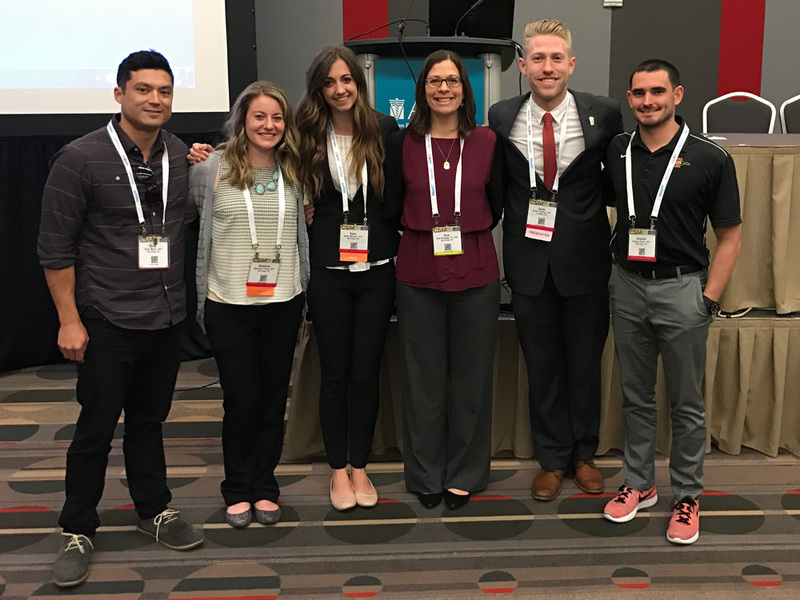 The group presented the findings of this study at the APTA Combined Sections Meeting in San Antonio, Texas in February​. This group of students was mentored by DPT faculty member Sara Gombatto, PT, PhD.